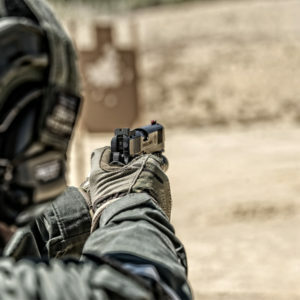 This 1-day pistol version of High Threat Environment Vehicle Tactics adapts our signature course for application among individuals that work as singletons. 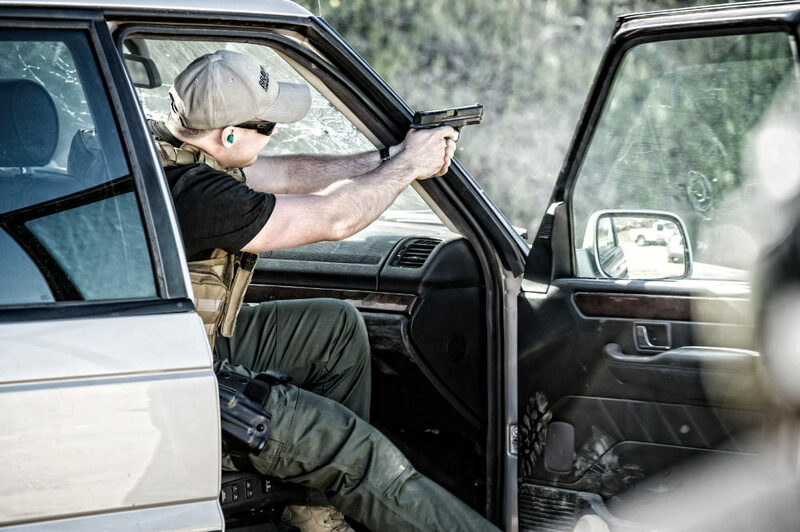 Whether a solo patrol officer, or independent civilian, the absence of immediate back-up in a close quarter fight changes your mindset for getting off the X. 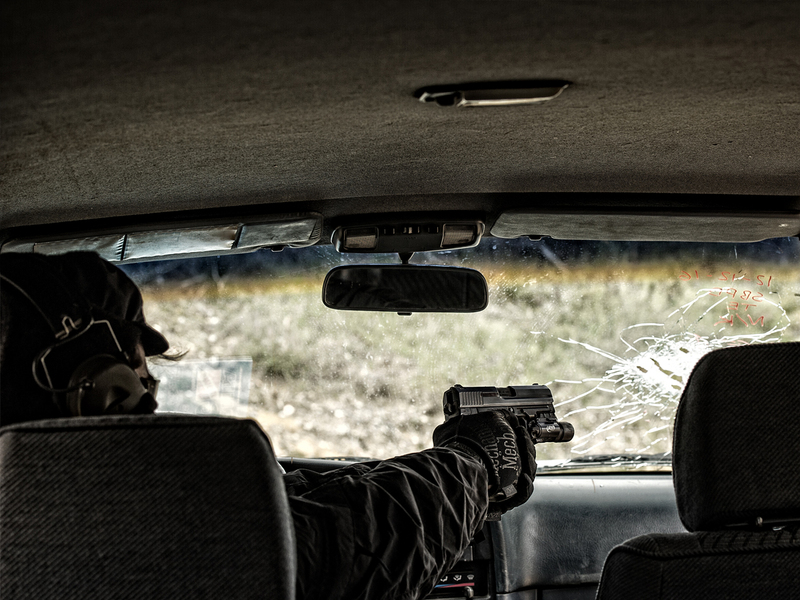 Material scales from the application of defensive tactics in 1-on-1 conflicts, to the shift in mindset for surviving gunfights against multiple assailants. 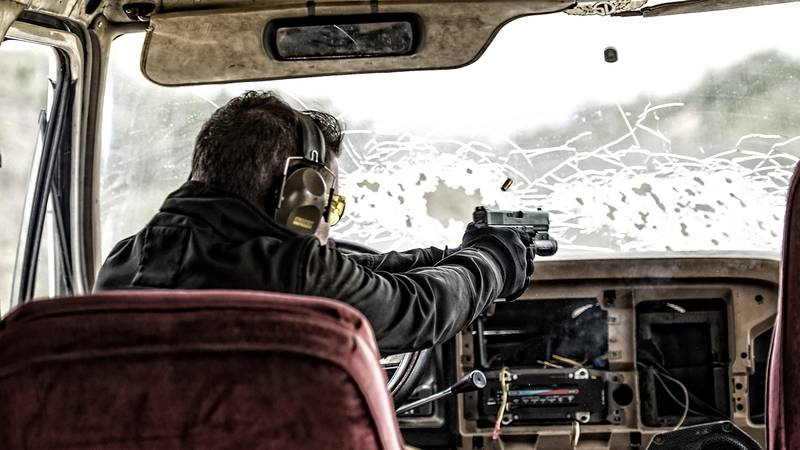 Marksmanship emphasizes close quarter shooting techniques from the confined interior of a vehicle and violent encounters while dismounted. As with all Guerrilla Approach training events, students are exposed to a no nonsense learning environment. Despite the charisma of new techniques made popular by the Internet, our instructors only utilize proven techniques from the real world. This is an advanced course for experienced shooters. Students must show proof of participation in prior training. Click here to email us with any questions.